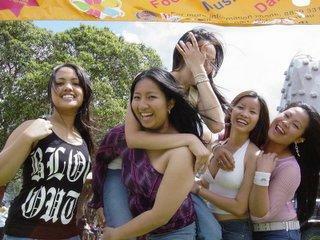 The girls at Parra Festival. It was pretty windy that day as you can see. I dont know what they're laughing at probably themselves as usual. The girls did an awesome job of showcasing the best in Philippine culture to the general public. I think it's important to always remember your heritege and where you came from.